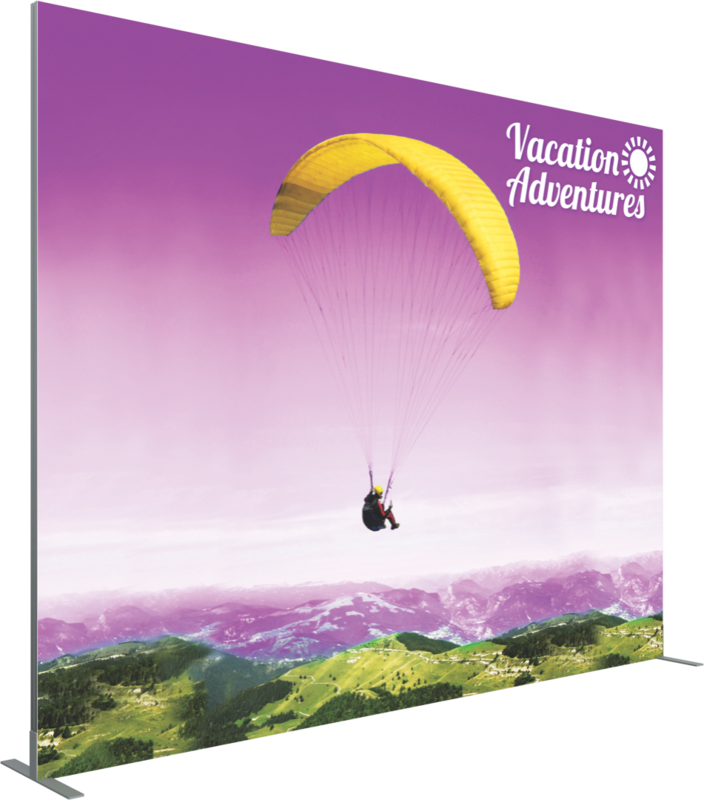 Tension Fabric Displays — Exhibit Systems, Inc.
Great a great impression with a large fabric graphic. The Vector Frame incorporates a silicon edged fabric graphic with a rigid metal frame. Can be either front lit, or lit from behind to create a lasting impression. Tools required for assembly. The Embrace combines an expandable frame with attachable metal fabric channels to hold a silicone edge graphic. A lightweight and tool less display system. The HopUp utilizes an expandable frame with clip points that hold a large fabric graphic making this one of the quickest, and lightest, displays to set up. The Formulate features tubular metal frames and pillowcase fabric graphics. Assemble the frame, slide the graphic over, zip up, and you're finished!